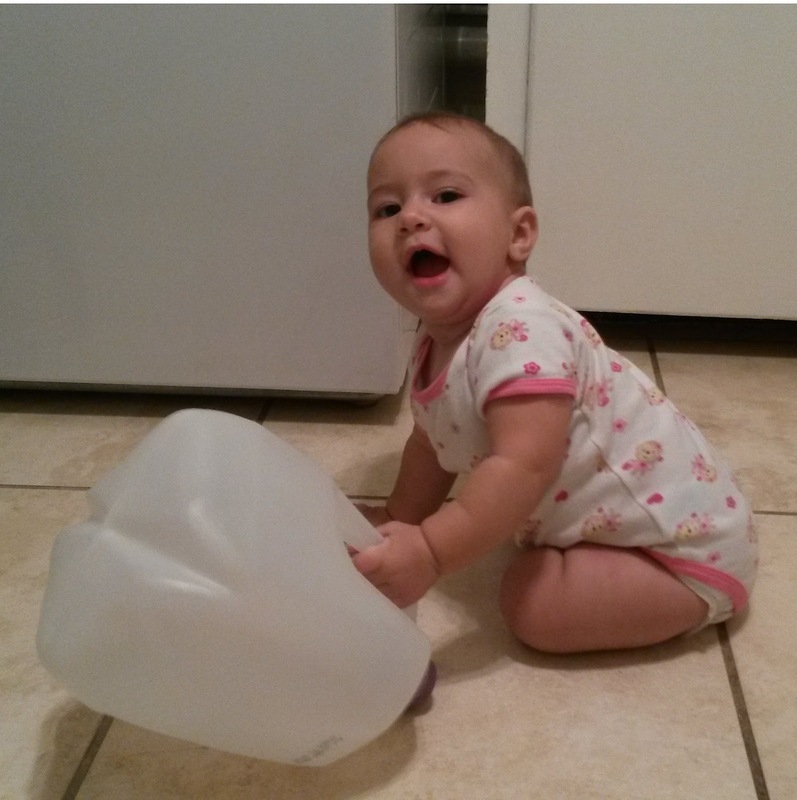 These 10 parenting hacks will make the first six months of your baby's life much easier. 1. Envelope Sleeves. Onesies are designed with envelope sleeves so that they can stretch down over the shoulders. In case of a poosplosion, slide the onesie down over the baby's body so that poop doesn't get into the baby's hair or on their head. 2. Take a Bath with the Baby. It's important to make baby's first bath an enjoyable experience. One way to do that is to skip the infant tubs and get into the bath with the baby. Then your little one will have the safety and security of their mother and it can be a relaxing experience for everyone. 3. Prepare for Witching Hour. Witching hour is a normal developmental phase that babies go through, where they will cry for 1-5 hours, every day, for sometimes up to 4 months and they will resist soothing. It can be heartbreaking and stressful and one of the most difficult parts of having a newborn. It's helpful to be prepared and follow these 5 coping methods. 4. Color Changing Diapers. Many diapers come with this nifty color changing line. When it's yellow it's dry, but when it turns blue, that means it is wet. It's a super easy way to tell if baby might have a wet diaper. 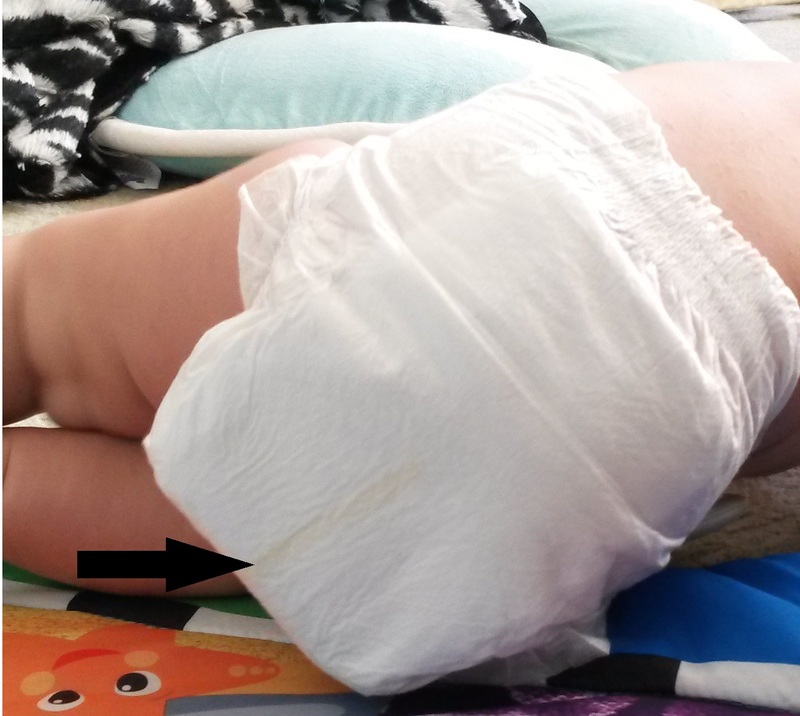 The yellow line means this diaper is dry. 5. Offer a Frozen Washcloth After Feedings. Starting solids is a messy business. Freezing a damp washcloth is a great toy for teething babies and if you offer it to them after a feeding, it'll help clean up some of the mess too! 6. Rotate Toys. Once your little one starts playing with toys, they can become bored with the same toys every single day. Instead, take a few toys at a time and put them away in a box. After a few days, reintroduce the toys and your baby will be like giving them brand new toys all over again! 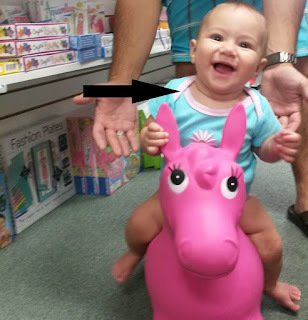 Also, look for toys in unexpected objects. Just make sure there's no choking or strangulation hazards. My daughter loves empty milk jugs; throw some dry rice in there and it's like a fun giant rattle! 7. Swaddle Sleep Sacks. Swaddling can be tricky and time consuming when you have a wiggly baby. Instead of going through the trouble, invest in a swaddle sleep sack. There are a number of brands and styles to choose from and they're incredibly simple to use. Swaddling is a great way to help soothe baby and even to get them to sleep longer. 8. Coconut Oil. Coconut oil is like a magic and has a million uses. Use it on baby's bottom when their first born. That way, once the baby passes the meconium (first poop, which is sticky and tar-like), it will wipe right off and won't stick to baby's bottom. It can be used as a lotion for any dry, flaky skin. If your little one gets cradle cap, put some coconut oil on it and let it sit before scrubbing off the scales. Use it in place of diaper cream to help cure diaper rash without all the chemicals. And you can use it on yourself to help with the itchy stretch marks. 9. Double Crib Sheets. When making the babies bed, put down a crib liner, a sheet, then another crib liner and another sheet. This way, if your baby's diaper leaks, or spit up gets on the sheets in the middle of the night, you can just take off the top two layers and put baby back to bed. No making the bed in the middle of the night. 10. Get Stuff Done by Babywearing. Babywearing has numerous benefits for both mother and baby. It's a great way to get stuff done around the house, while providing comfort to the baby. It gives you two free hands, can be compatible with breastfeeding, and often helps soothe baby to sleep. Check out the different types of baby carriers.